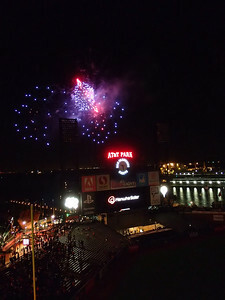 While in Mexico, in February, I snagged a great deal on airfare to San Francisco. We've never been in Spring and it seemed like a good enough reason to make a jaunt for a long weekend. It's since come and gone, and we had a great time. We didn't run ourselves ragged this time. We actually slept quite a bit. But it was much needed, Frank and I have been spread so thin it was nice to decompress and not think about work. Instead, our thoughts were on food and beer. Even though crab season is over, we managed to stuff ourselves silly with these tasty treats at the Crab House. Twice. 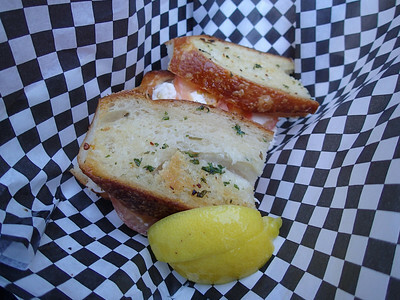 We also visited our favorite sandwich shops, Petite Deli and Saigon Sandwich. We picnicked with treats from the Ferry Building. We satisfied our sweet tooth with cookies from Hot Cookie and ice cream from Bi-Rite creamery. We returned to Suppenküche for German eats and drinks, but it was just too busy to be enjoyable. 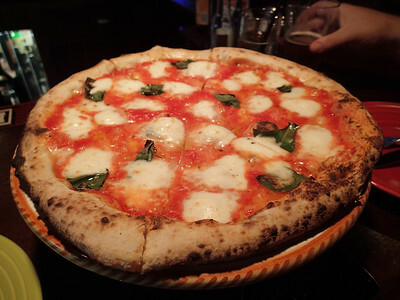 We grabbed sicilian slices at Golden Boy Pizza and tried Tony's Pizza Napoletana. 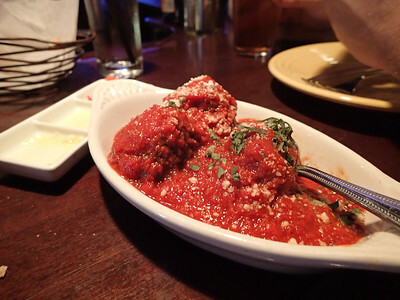 They might be known for their Margherita Pizza ($19), but it was their meatballs ($5) that will bring me back. Seriously, I cannot recall ever eating a better meatball. The pizza was fresh and well executed, but I like Settebello here at home a bit better. We indulged in one special meal at Incanto. We've become quite adventurous eaters and it was time to put our tastebuds to the test with offal, which is Chris Cosentino's specialty. 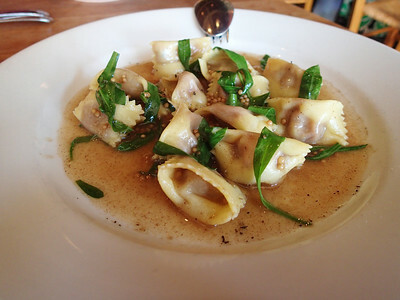 We took the Muni train to Noe Valley and settled into the cozy space that is Incanto, we sat back and simply enjoyed. We started with beef heart tartare ($19) and liverwurst agnolotti ($18). Frank favored the raviolis filled with liverwurst while I enjoyed the tartare a bit more. I found the liverwurst a bit gamey. I was seeking acidity to cut the bold meatiness. 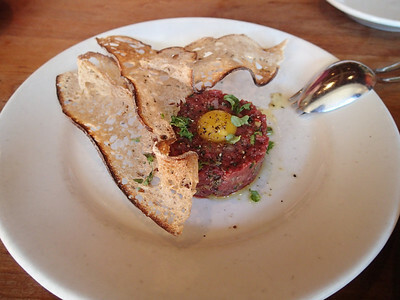 The tartare was splendidly executed. I wanted nothing but more. It was rich like butter, but clean on the palette. It was something that must be experienced. The appetizers were stellar, we were anxious to dig into our entrees. 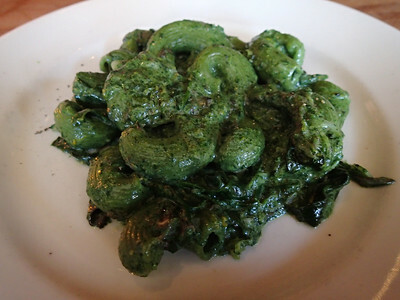 I chose the Nettle mostaccioli ($17) with nettles, mascarpone, green garlic & snails. It was unfortunate that the nettles herbaceousness overwhelmed the dish. I couldn't pinpoint any other flavor. 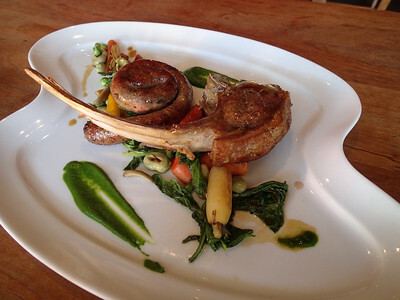 Frank had the better choice with the Lamb chop ($28) and sausage with favas, green almonds & carrots. His dish was a thing of beauty. Incanto knows how to treat its meat. We are dying to return with a group of foodie friends and devour the leg of beast. We also ventured to the Potrero Hill neighborhood and sought out Plow. 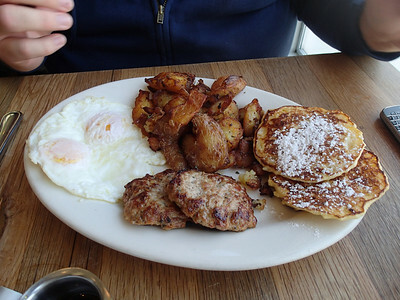 Famous for lemon ricotta pancakes, house made sausage and the crispiest potatoes known to man. After waiting over an hour for a table I was skeptical, but Plow delivers. These are some good breakfast eats. Their potatoes are worth the wait! Everything else is just a bonus. 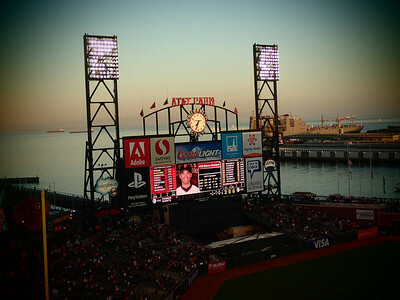 Visiting in Spring allowed us to take in a Giants game at AT & T Park. We saw the Giants pull off a win against the Padres, we were quite pleased since this also meant Frank had a winning sport bet to cash. 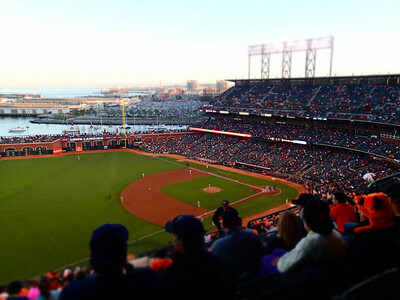 AT & T Park is a beautiful stadium. 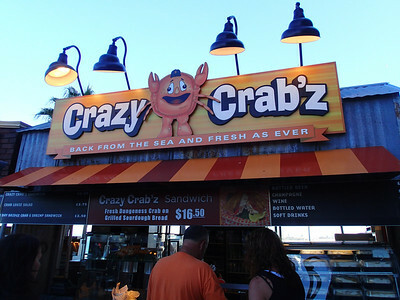 We stuck to our routine of seeking out the local specialty and we enjoyed a Crazy Crab'z sandwich. Dungeness on sourdough, it's hard to go wrong. 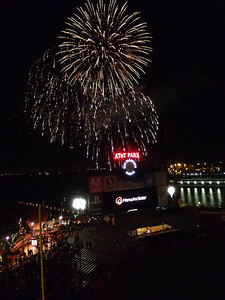 After the game, we enjoyed the firework display. Then, we walked back to our hotel. First stopping at the Bay Bridge Light Sculpture. We tried to find my light, we were able to narrow down the general area, but to pinpoint the specific light would be impossible despite knowing its location. I'm just pleased to be apart of it. This visit we didn't stay in Fisherman's Wharf. Rates were just too expensive. I was able to secure a fair price at the historic Hotel Whitcomb on Market. What it lacked in style it made up for in charm. The location could not be beat. The hotel was a bit worn and dated, but the accomodations were comfortable and that's what really matters. 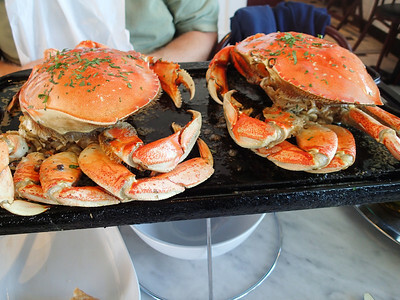 It is doubtful we'll return this fall (for our usual trip during crab season), but I await our next San Francisco adventure. Every time I see you post about San Fran, it makes me want to see it more and more. Once Jenna gets a bit older we will retire Disney as the big trip and be able to try new places again. California is on that long list lol! 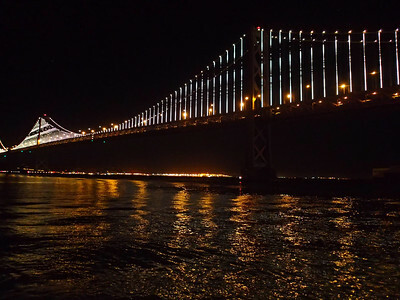 San Francisco is special. A definite must see. California has some really great destinations. It's a wonderful place to explore. The ultimate itinery would be to fly into San Francisco, rent a car on your way out of town, drive down Pacific Coast Hwy to San Diego and fly home from there. Spending time in San Francisco, Big Sur, Santa Barbara and Ssn Diego along the way. Each city is Amazing in its own way.